In the heart of the Languadoc, the department of Herault comprises of the seaside towns along the coast of the Mediterranean, the stony-faced villages peppering the northwestern mountains and the lush green pastures of the Herault Valley. Part of the region's charm lies in the diversity of her landscape and the variety of things-to-do: whether you're hiking through the Cevennes Mountains, sightseeing in the historic centres of Beziers and Montpelliers or lounging at the white sand beaches along the Etang de Thau, you will find yourself submerged in a sea of bliss. The best places to stay in Herault will make you want to stay forever. The resort towns along the coast are the ideal place for a seaside holiday. Cape d'Agde boasts some popular nudist beaches but few historic sights, while along the Etang de Thau - a great sea lake - are scattered little resort towns and villages like Marseillan and Meze. The resort of La Grande-Motte is exceedingly popular, built in the 1970s, and has some wonderful beaches while the historic port town of Sete has some interesting art galleries like the Paul Valery Museum. While in the area, be sure to check out the beautifully cloistered Abbey Valmagne in Villeveyrac. A vibrant town with a lively historic centre defined by gorgeous neoclassical facades, Montpellier is a fabulous city from which to explore the area. The striking gothic cathedral, upmarket fashion boutiques and fascinating galleries like the Musee Fabre, make it the beating cultural heart of Herault. Beziers is a stony-faced historic market town defined by two things: bullfighting and wine. The stunning Romanesque architecture, best exhibited by the Cathedral St. Nazaire that dominates the skyline, is wonderful to behold. Reachable by an ancient bridge over a winding river, it is a charming town and peaceful town often overlooked. Pezenas, with her archaic facades and medieval mansions is a delight to visit, made all the more better by the Friday night tradition of farmers selling wine on the street. 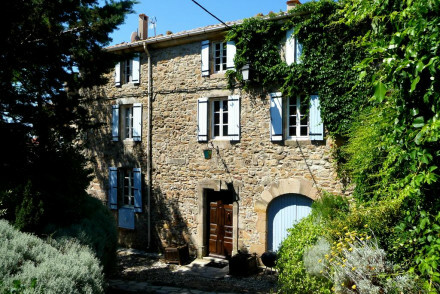 The countryside surrounding the major towns boasts some of the most beautiful villages in France, known collectively as the Plus Beaux Villages de France. Minerve, stony and picturesque, sitting on green pasture by a deep gorge, is a place where time stands still. At the foot of the Caroux Mountains is Olargues, which is worth checking out, as is St Guilhem-le-desert, to the northeast, whose famous abbey - Gellone Abbey - is a UNESCO World Heritage Site. Lounge lazily at the beach in the Cape d'Agde. If you're feeling liberated, check out the naturist beaches! Glide gently down the Canal du Midi and feel time halt to a standstill. Head over to Guilhem-le-desert, one of France's most beautiful villages, and explore the ancient abbey! Go for a hike through the Cevennes Mountains and enjoy the scenic views and clean air. Visit the Haut-Languadoc National Park and marvel at the 240 species of bird. Feeling adventerous? Why not try some Petit pate de Pezenas, a culinary speciality of the region: a savoury spiced mice tart! Watch bullfighting in Beziers and while you're there, check out the Romanesque Cathedral St. Nazaire. Herault is a beautiful and diverse department: from the hills of the hinterland and the ancient stony villages of the valleys to the beach resorts along the coast and the big historic towns, Herault makes for a fabulous holiday destination, whether you want to go hiking, sunbathing or sightseeing. Check out our collection of the best places to stay in Herault to find out more! Le Mimosa: stone floors, exposed brick walls and lovely large rooms looking out onto a picturesque old town. Relax on the terrace or go for a stroll in the surrounding vineyards! 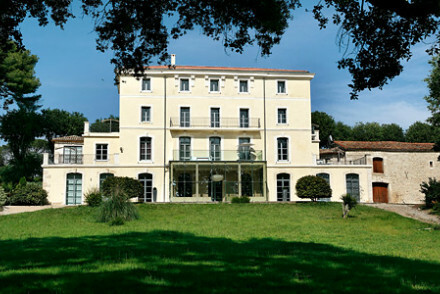 La Bergerie du Cap: a few minutes from the beach, this lovely hotel is a converted 18th century barn. There is an outdoor pool and a jacuzzi to relax in. Great for young couples on a seaside holiday. 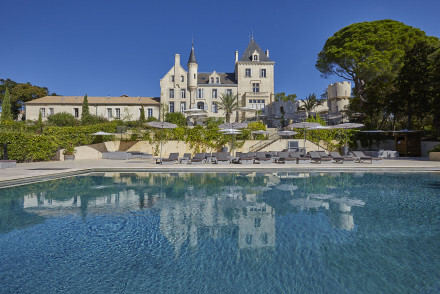 Chateau Les Carrasses: a 19th century castle and wine estate, set on sprawling green grounds. From suites to villas with private pools, there is a great variety of accomodation on offer. Foodies will love the gourmet restaurant. Enjoy table tennis, billiards, cooking classes, the outdoor pool or cycling. Chateau St. Pierre de Serjac: set on 200 acres of countryside, this glorious chateau has its own winery, spa and fine-dining restaurant. Utterly spoiling, the rooms are enchantingly decorated in a classic French style. 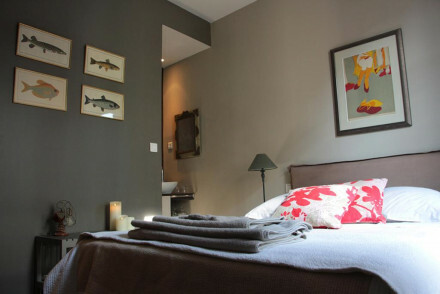 La Villa Guy: truly spoiling, a beautiful guesthouse in Beziers offering elegant rooms decorated with oil paintings. There is a spa, gym, pool and billiards table. 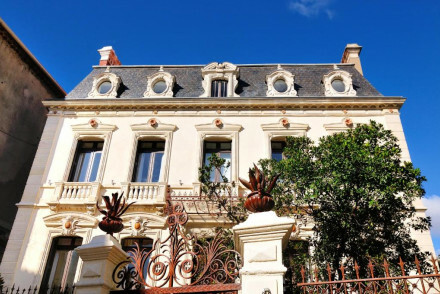 L'Hotel Particulier: ideal for exploring Beziers, this pretty boutique hotel offers soundproofed and minimalist rooms with gorgeous garden views. There is also a swimming pool and massage services on offer. A spoiling stay. Fly to Montpellier and get public transport to your destination. The best time to go is during the summer, when the temperature ranges between 14 and 27 degrees. 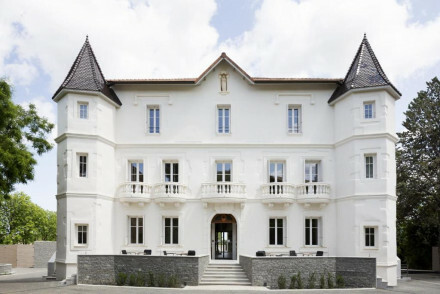 A 19th century castle with wine estate, lovingly turned into a luxurious stay. Accommodation ranges from suites to three bed villas with private pools. All decorated in a modern yet unmistakably French style. Très chic. The food and wine pairing is popular as is the Mediterranean Brasserie. Great walks - There are some great walks through the Languedoc countryside. A magnificent Château with vineyard set amidst 200 acres of rolling countryside. Accommodation includes eight rooms, lovingly decorated in a classic French style and 36 self-catering properties. All achingly stylish. Fine dining restaurant, spa, indoor and outdoor pools. The list goes on! Great walks - Plenty of scenic walking routes leading directly from the property through the Languedoc countryside. Local markets - The property hosts farmer's markets for locals and guests to attend. 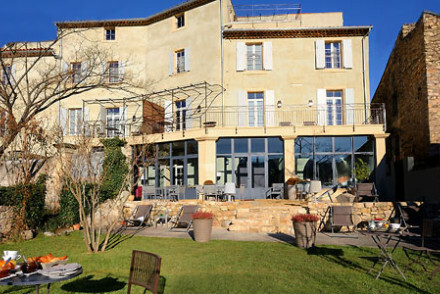 Unspoilt and traditional French village hotel, with magnificent gorge views and simple, but delicious local cooking. Heaps to do in the area. A friendly off the beaten track base, ideal for exploring the surrounding countryside. A quiet hotel set in the town centre. Lovely large rooms have stone floors, brick walls and views to the courtyard. Delightful evening meals served in the dining room. Terrace and surrounding vineyards to relax in. A charming and great value stay. A classical hotel in a converted 18th century barn. Rooms are functional and clean with wooden floors and whitewashed walls. Outdoor pool and jacuzzi at your disposal and breakfast is served until midday. Beach just minutes away for sailing and swimming. A great choice for a family holiday. Full of character - A converted 18th century barn uses original materials for chic effect. 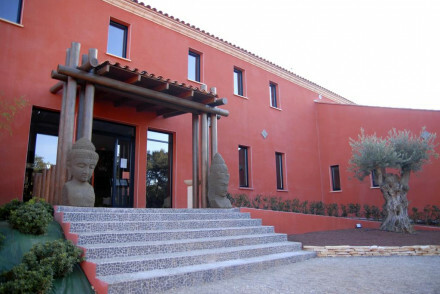 Orient-inspired luxury hotel in rural Languedoc offering 16 exotically furnished rooms and suites, with Asian artefacts with flourishes of African style. Featuring a seasonal outdoor swimming pool, jacuzzi and spoiling spa. A picturesque and quiet location, ideal for a relaxing rural retreats. Country Escape - Set in an idyllic and picturesque setting that's wonderfully tranquil. Great walks - 15 minutes away in Montpellier is the Promenade du Peyrou, which, when lit up at night, is perfect for strolling lovers. Sights nearby - 5 miles away is the Chateau du Flaugergues, a well-restored castle, with impressive gardens. 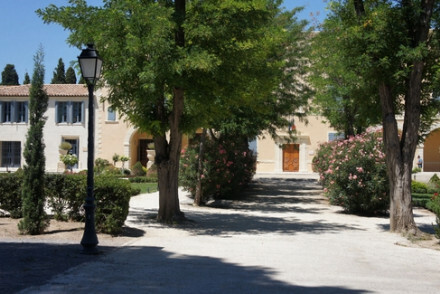 Chateau Olmet is situated in the quiet town Lodève, 30 miles from Montpellier. It offers unfussy accommodation and each room comes with its own coffee machine. There's an outdoor pool-perfect for a refreshing dip to escape the afternoon's heat. A peaceful and rejuvenating spot. Within an unpretentious townhouse in the laid-back little fishing port of Marseillan, visitors find a family welcome and rooms with individual flair. Local exploring - A chic boutique property makes a comfortable base for exploring the region. Sailing - Boats can be rented from the nearby harbour. 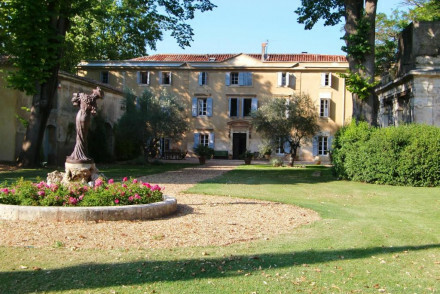 Renovated 18th century winery in a 200-year-old park on the banks of the River Herault. boasting two swimming pools, table d’hôte and spa facilities. Elegant rooms with mosaic floors and stucco ceilings come with private jacuzzis and coffee machine. Ideal for completely unwinding. Spa breaks - Not only do some rooms have a jacuzzi, but there's a spa, sauna and swimming pools. Beauty treatments available on request. Country Escape - On the banks of the River Herault in an old winery and 200-year-old park, surrounded by vineyards. Sights nearby - Take a trip to Abbaye de Valmagne, an old monastery, or drive to the fairy-tale castle of Carcassonne. Swimming Pool - Two outdoor swimming pools including a nudist pool. 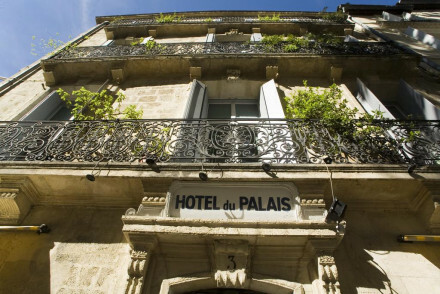 Elegant rooms in the heart of Montpellier. The eclectic decor mixes traditional and modern styles: think 1920s furniture with 21st century street art. An on-site restaurant serves excellent a la carte cuisine. A short walk to the beach, ideal for exploring the region. Business meetings - You can rent out meeting rooms via reception if you're planning a seminar or business meeting. Catering and board provided. Beach Life - Montpellier is only a few km from beaches like the saint-white sands of Grau-du-Roi. Great walks - The hotel is close to the Place de la Comédie, a central plaza with countless shops, cafes and restaurants. 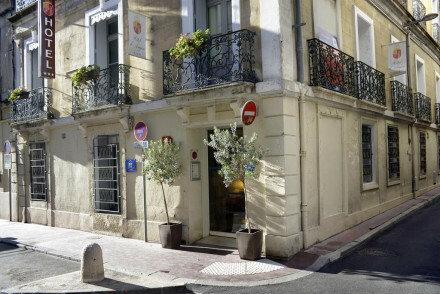 A comfortable and peaceful Montpellier bolthole, a short walk from both the railway station and the historic centre. Ideal for visitors looking for a small and characterful hotel from which to explore the city. An unfussy hotel run by a friendly team and situated in an enviable location surrounded by local neighbourhood cafes, restaurants and small boutiques. Many rooms boast pretty balconies overlooking the city and there are good family options. A great little find perfect for local exploring. Village Castigno is a traditional French village transformed into a superb hotel in the heart of provincial France. The historical architecture blends beautifully with contemporary decor. All-in-all, it offers a relaxing country-escape with pools, gourmet food and plenty of hotel entertainment. A charming, small hotel in the picturesque port of Meze. The cosy, comfortable rooms exude a calm homely feel with their exposed beam ceilings and warm colour schemes. Ramble through the energetic seaside streets or take a day fishing trip out from the harbour. A classy, seaside hotel. Beach Life - Explore the beautiful coastline surrounding Meze, great for swimming, sailing, fishing and kayaking. Fishing - There are great fishing opportunities in L'étang de Thau lagoon, less than five minutes from the hotel. Sailing - Meze is home to one of France's most well known sailing schools, ask at the hotel about hiring boats. Local markets - Explore the local markets of Meze and pick up some regional treats. 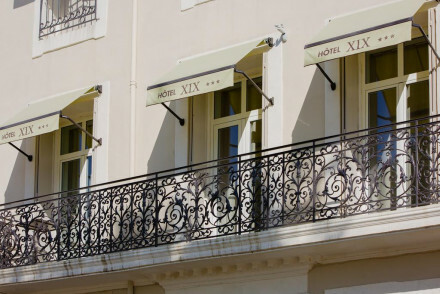 Stunning art-deco hotel in the heart of the historic centre of Beziers, offering 12 rooms with wonderful views of the Old Town. Featuring a charming tea-room along with a swimming pool, sun-terrace and bar. Perfectly central, only 450 yards from Saint-Nazaire Cathedral. City Style - A stylish art deco hotel featuring an array of paintings, particularly from Sebastian Bayet. Great walks - The historic centre of Beziers is full of medieval and Renaissance buildings and is a great place for long walks. 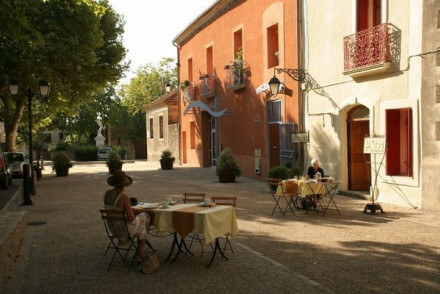 Sights nearby - Only 450 yards from the beautiful Saint-Nazaire Cathedral and slap-bang in the centre of Beziers. 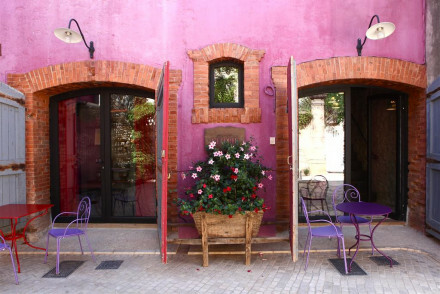 Luxurious accommodation in a pretty boutique hotel in the centre of Beziers. Near the Cathedral of Saint Nazaire, the soundproofed and minimalist rooms come with beautiful garden views. There's a pool, massage services and sun terrace. A perfect base for golfers, there are 3 courses in the area. Total relaxation - Sip slowly at a cocktail from the bar and lounge idly on the terrace, soaking up the sun. Sights nearby - The Cathedral of Saint Nazaire is a short walk away. Local markets - Peruse the nearby Les Halle market. 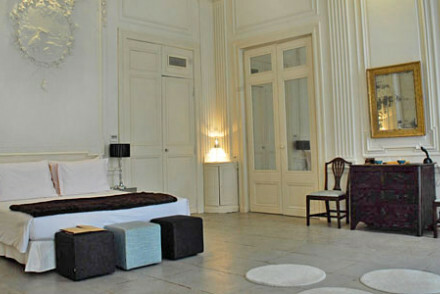 Royally-elegant guesthouse in the centre of Beziers, offering chic rooms with artworks by Magrou and Injalbert. Facilities include a gym and wellness centre, including a sauna and Turkish bath. There is an outdoor swimming pool and billiards table. A perfect base for exploring the area. Total relaxation - Nestling amongst the grounds of a 1 hetacre park in the middle of town, with a pool and sun loungers, it'd be rude not to relax. Spa breaks - The wellness centre includes beauty treatments, as well as a sauna and Turkish bath. Spoil yourself! Great walks - The Canal du Midi is close by and is a beautiful location for walks. Sights nearby - Only 1 mile from Beziers Cathedral. Designer-chic convent renovation surrounded by vineyards. Beautiful rooms and suites mimic the serenity to be found in the luxurious spa or from private terraces. Wine cellar, swimming pool, and plenty of outdoor activities. Relaxation in the rolling countryside. 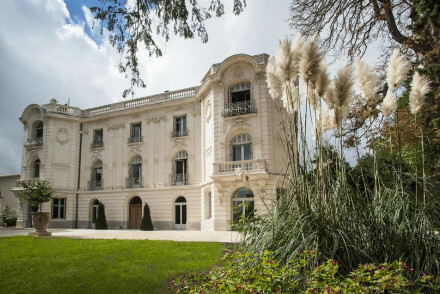 Artistic and historic in style, convenient in location and extremely comfortable, Baudon de Mauny – housed in an 18th century building – offers a luxurious and memorable experience. 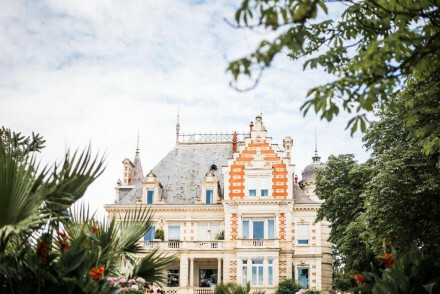 Stylishly-restored 19th century chateau and vineyard in the heart of the Languadoc offering comfortable, contemporary rooms and suites. Facilities include a spa, an outdoor swimming pool, private sun-terraces and a conservatory. Wine tasting is a regular and welcome event. Ideal for unwinding. Total relaxation - With ample, lush gardens, private sun-terraces, a pool and spa, it would be very difficult not to relax in this haven. Sights nearby - 11 miles from Saint-Nazaire Cathedral. Nestled between vineyards and sleepy villages, this informal B&B promises quiet luxury and easy living. The homely rooms have a personal touch and are decorated with soft hues. Breakfast is served on the charming terrace. There is also an outdoor pool and jacuzzi. A charming stay. 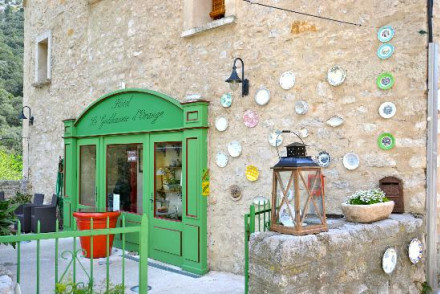 Local markets - Visit the Pezenas market for cheese, olives, fish, bread, colourful pottery, clothes and bargain priced baskets! 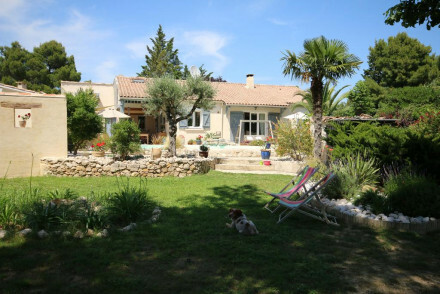 A stunning country house located on the edge of Montpellier. Lovingly converted throughout, keeping its distinctly French feel, with contemporary architectural touches. Country-style gardens, roaming horses and a gorgeous pool quickly aid relaxation (as does the spa). Thoroughly spoiling. Country Escape - A picture perfect country house complete with roaming horses, ideal for revelling in complete tranquility. Great walks - Lovely walks staring straight from the hotel grounds. 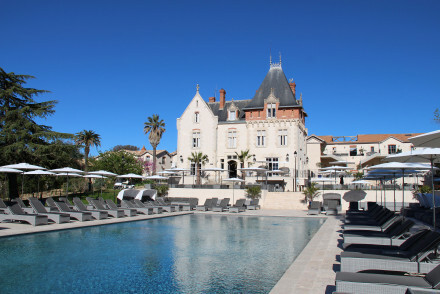 Luxury spa hotel with superb vineyard views, creative Mediterranean cuisine and fun beach-style area, all just a short drive from Montpellier’s city centre.